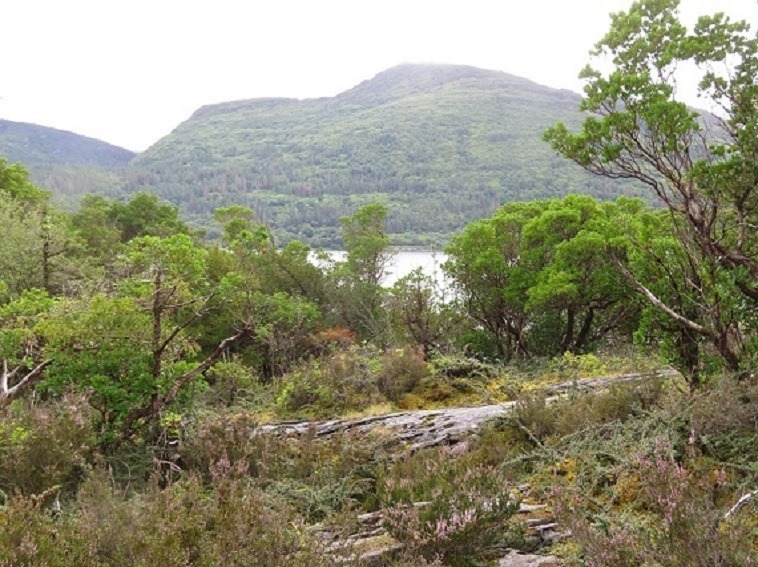 Torc Mountain dominates the southern side of Muckross Lake. 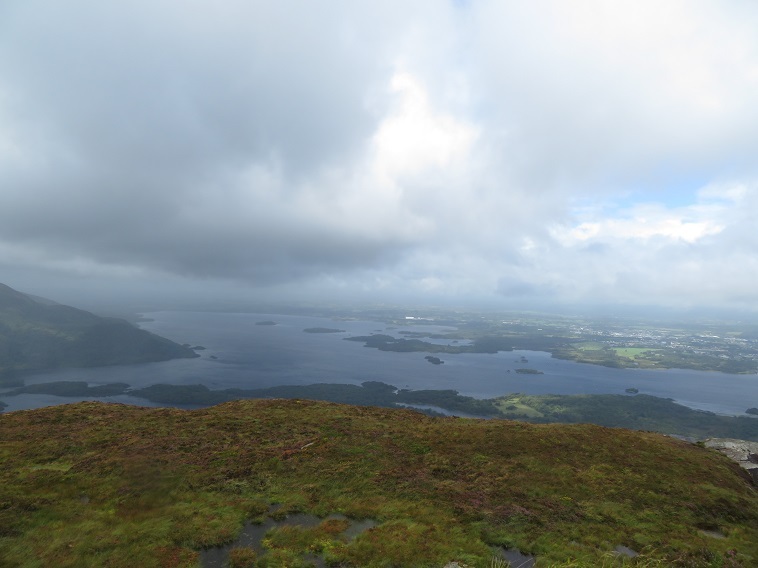 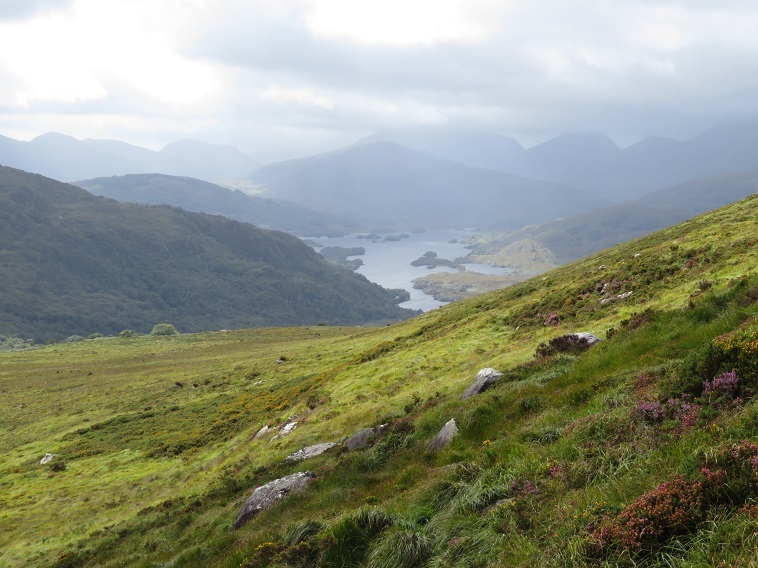 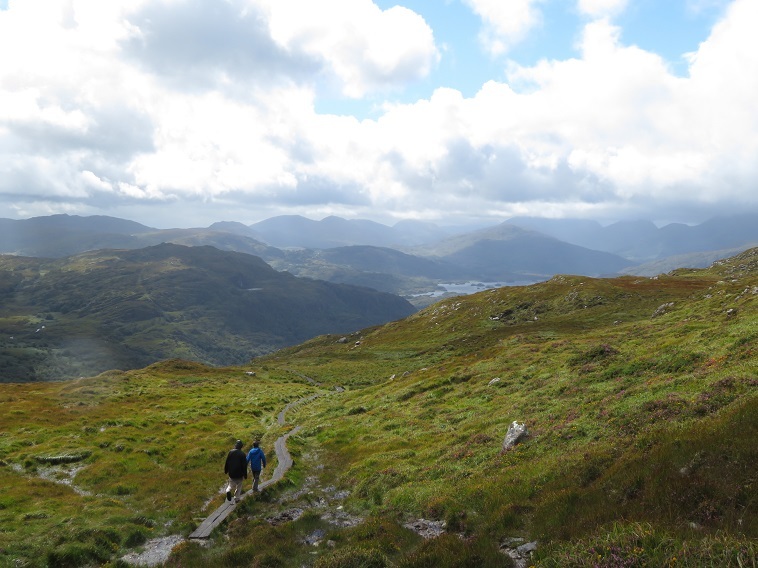 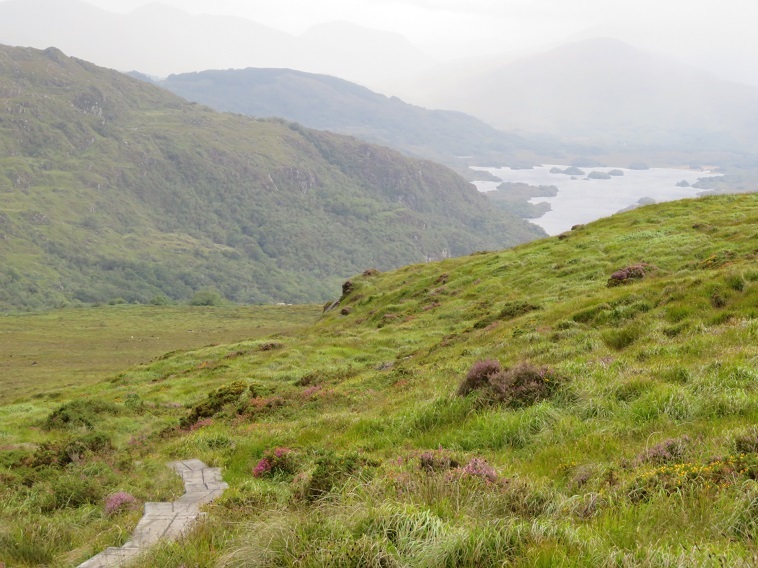 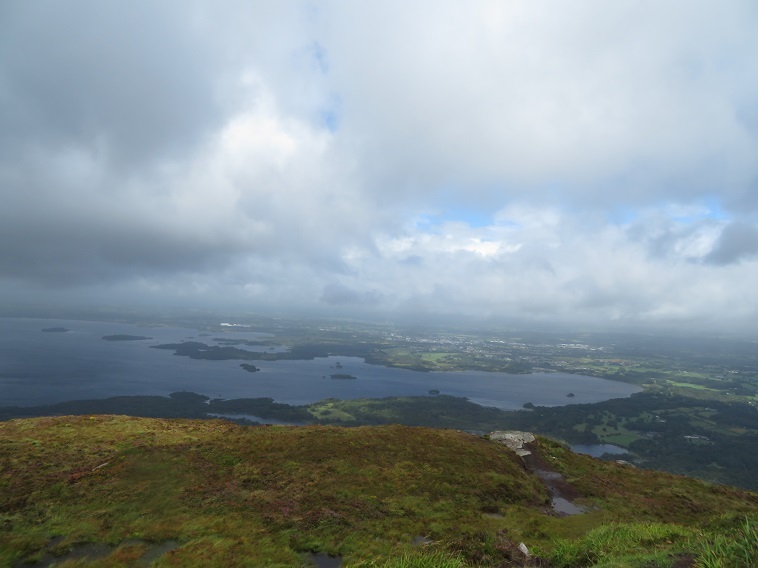 It is a wonderful climb, with rich vegetation and magical views across the Upper Lake toward Macgillycuddy’s Reeks and, at peak, over Lough Leane and Muckross Lake. 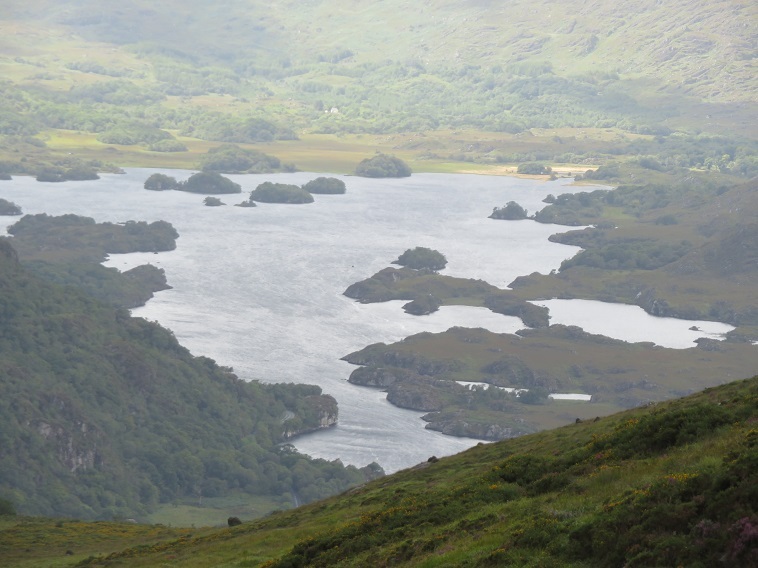 Torc mountain dominates the southern side of Muckross Lake. 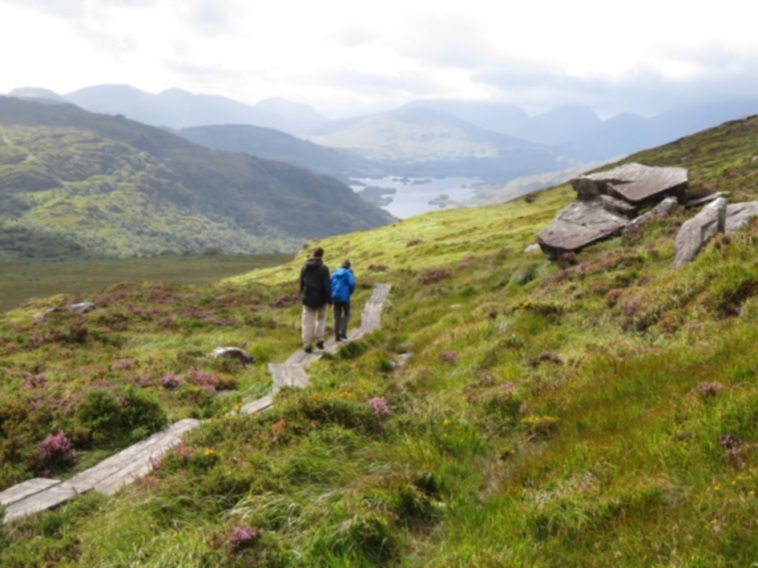 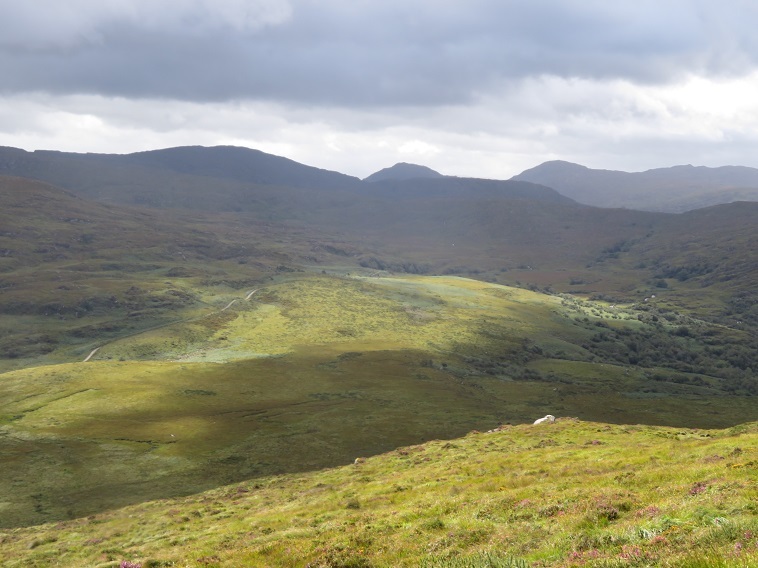 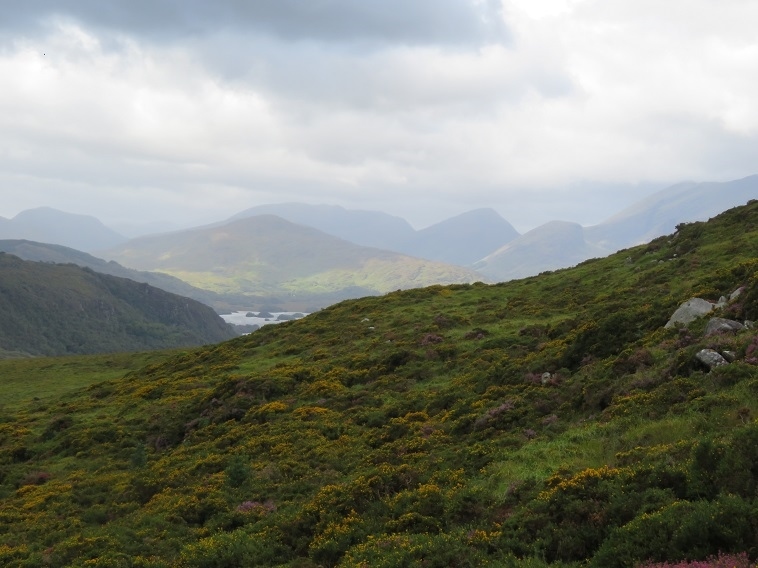 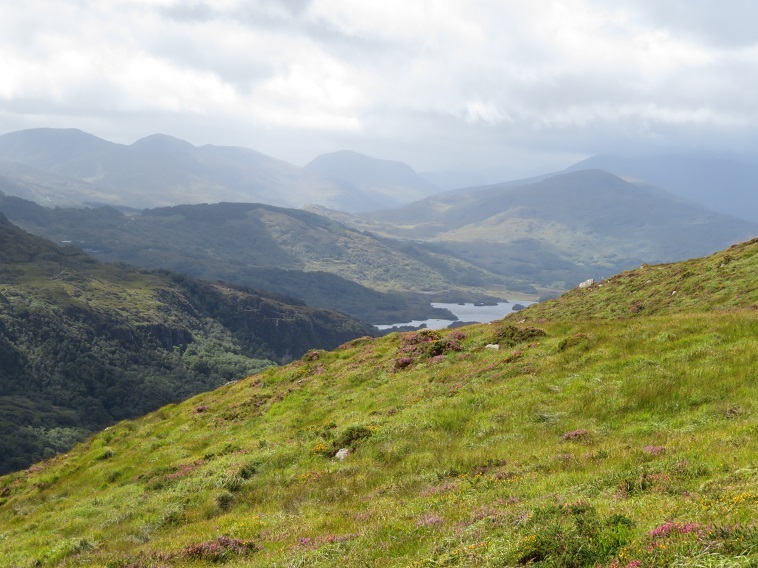 It is a wonderful climb, with rich gorse, heather and boggy vegetation and magical views across the Upper Lake to Macgillycuddy’s Reeks and, at the 535m peak, over Lough Leane and Muckross Lake. 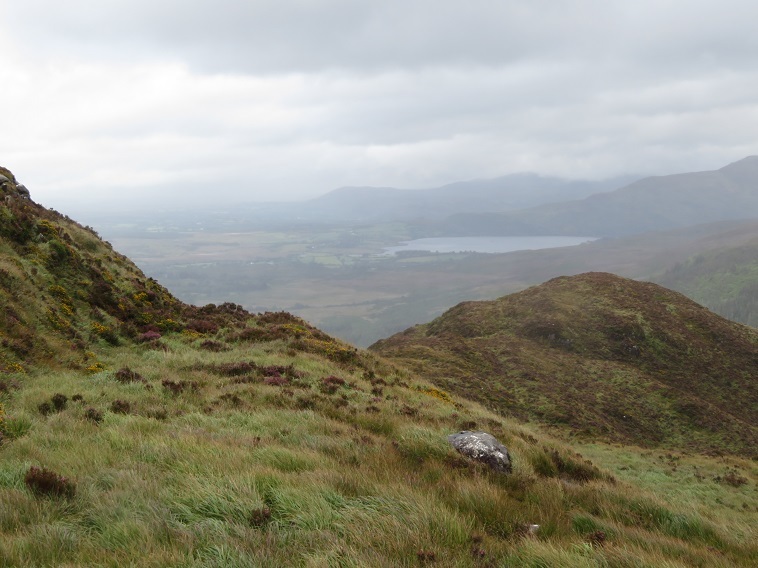 Torc is accessibly from the old Kenmare road to the south. 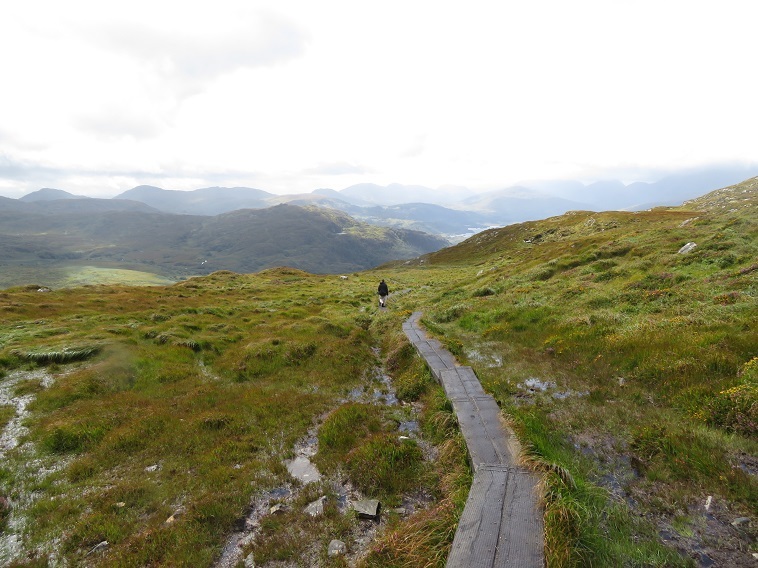 The path is sensitively maintained to protect the delicate boggy hillsides, with long stretches of heavy sleepers to walk on. 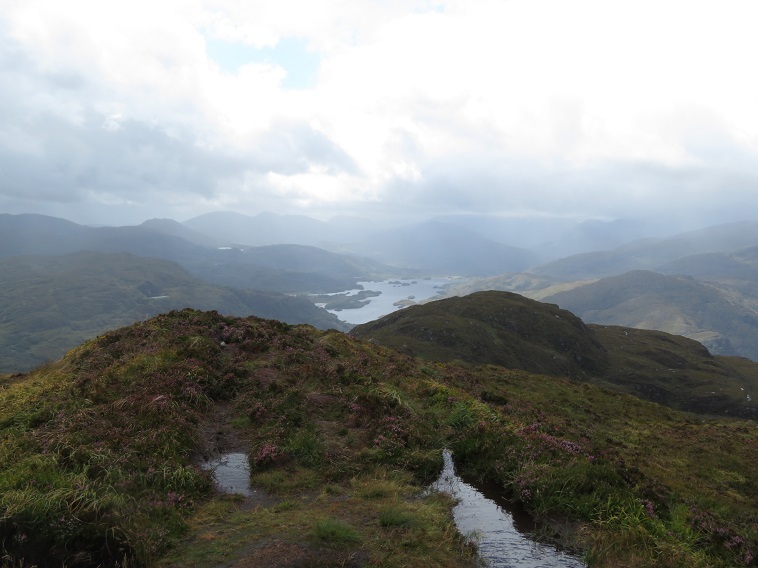 2.5 hours return from the roadhead. 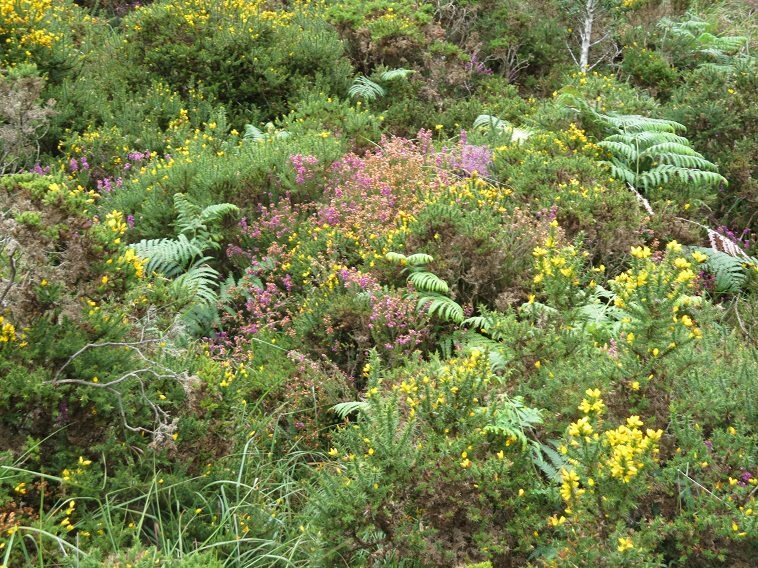 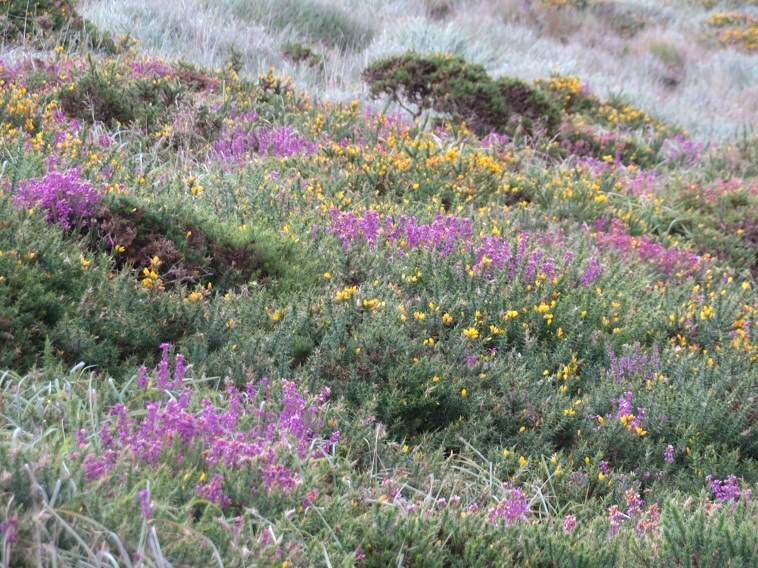 A magical climb, through beautiful flowering gorse and heather and delicate boggy vegetation. 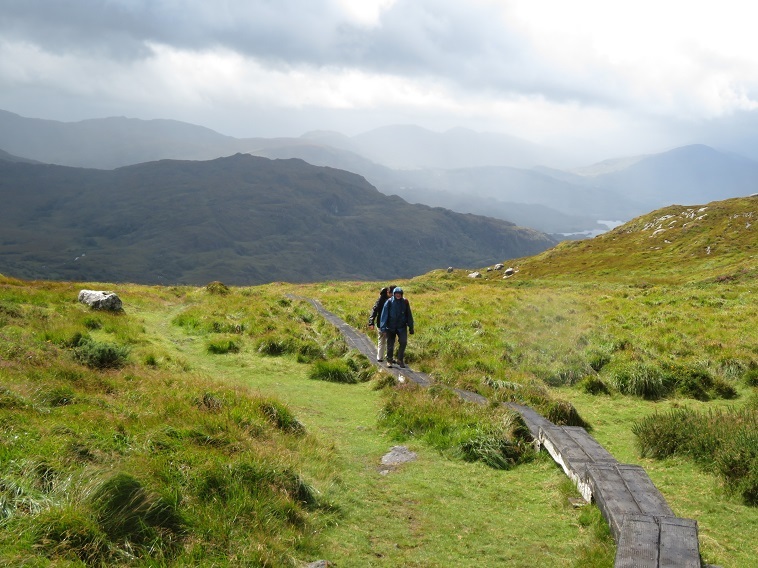 The path is superbly constructed and maintained, and it is inherently an easy walk. 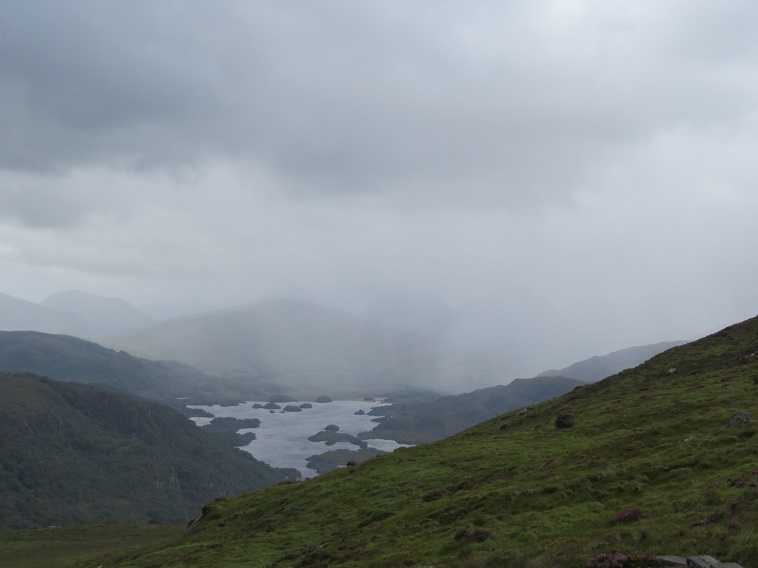 We climbed on an exquisite showery day of watery Turneresque light and fierce little rainstorms, during which we huddled with our backs to the pelting rain and ate lunch. 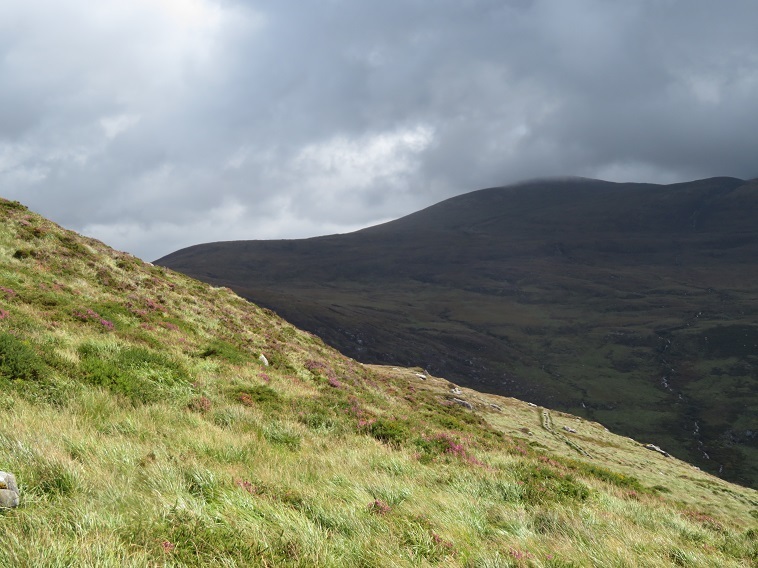 The gale near the top had our youngest blown off the path.